Dr. med. Claudio Rosso has been part of the Osteoarthritis Research Center since its beginning. He graduated from Basel University in 2005 and has completed most of his orthopaedic training at the University Hospital Basel under Prof. Valderrabano including rotations to sports trauma and the Children`s Hospital Basel. He trained at Harvard Medical School in Boston in a six-months clinical fellowship and a one-year research fellowship supported by the Swiss National Science Foundation and the Swiss Society for Orthopaedic Surgery and Traumatology. He finished his training in 2011 and was appointed Attending Surgeon in 2012. He is currently completing a one-year shoulder fellowship with Dr. Laurent Lafosse in France. In his research, he is involved into biomechanics in sports injuries including shoulder dislocations, meniscus repair systems and Achilles tendon repairs. In his research career, he was funded approx. 250`000.- USD in competitive funding. 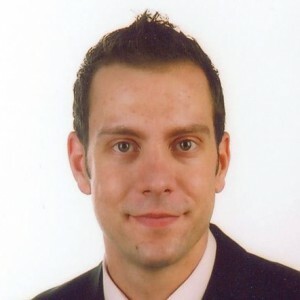 He was awarded the Swiss Society for Orthopaedic Surgery and Traumatology poster price 2012 for his research in shoulder biomechanics as well as the German Orthopaedic Society poster price (DKOU) 2012 for his research in meniscus biomechanics. Dr. Rosso is a member of the following societies: New England Shoulder and Elbow Society, Swiss Society for Orthopaedic Surgery and Traumatology, German-Swiss-Austrian Sports Trauma Society, AGA (biggest Arthroscopy Society in Europe), Orthopaedic Research Society and the Swiss Medical Association. He is a reviewer for the KSSTA (Knee Surgery, Sports Traumatology and Arthroscopy, IF 2.1) and the JOR (Journal of Orthopaedic Research, IF 3.1). In his spare time, he is devoted to his wife and baby girl. He is a Vice-World Karate Champion 2007 as well as a founder of the Swiss Shotokan Karate-Do Association. Claudio Rosso, Konstantin Kovtun, William Dow, Brett McKenzie, Ara Nazarian, Joseph P. DeAngelis, Arun J. Ramappa. Comparison of All-Inside Meniscal Repair Devices with Matched Inside-Out Suture Repair. American Journal of Sports Medicine, 2011 Dec; 39(12):2634-9. Claudio Rosso, Patrick Vavken, Caroline Polzer, Daniel M Buckland, Ulrich Studler, Lukas Weisskopf, Marc Lottenbach , Andreas Marc Müller, Victor Valderrabano. Long-term outcomes of muscle volume and Achilles tendon length after Achilles tendon ruptures. Knee Surg Sports Traumatol Arthrosc. 2013 Jan 31. [Epub ahead of print] PubMed PMID: 23370984. AM Mueller, V. Entezari, C. Rosso, B. McKenzie, A. Hasebrock, A. Cereatti, U. Della Croce, JP Deangelis, A. Nazarian, A. Ramappa. The effect of simulated scapular winging on glenohumeral joint translations. Journal of Shoulder and Elbow Surgery. J Shoulder Elbow Surg. 2013 Jan 10. doi:pii: S1058-2746(12)00412-0. 10.1016/j.jse.2012.09.010. [Epub ahead of print] PubMed PMID: 23313371. Entezari V, Trechsel BL, Dow WA, Stanton SK, Rosso C, Mueller AM, McKenzie B, Vartanians V, Cereatti A, Della Croce U, DeAngelis JP, Ramappa AJ, Nazarian A. Design and manufacture of a novel system to simulate the biomechanics of basic and pitching shoulder motion. Bone Joint Res 2012;1:78–85. Talk @ AAOS 2013, Chicago: Swiss Multi-Center Achilles Tendon Rupture Trial: Calf Muscle Volume at 7.5 Years of Follow-Up. Rosso C et al.